Are you searching for a balanced life? Do you want to learn how to make better decisions? Would you like to reach your full potential? Life is all about decisions. This book reveals a game-changing new theory to develop decision making maturity. The theory is based on the premise that our lives have five dimensions - the financial, social, internal, physical, and spiritual. We cannot reach our full potential as individuals unless all five of our life dimensions are balanced. If we neglect any of these dimensions, the ensuing disharmony destroys our tranquillity and can wreck our lives. We need to consider the five dimensions in all our decisions in order to live a balanced, successful, and peaceful existence. 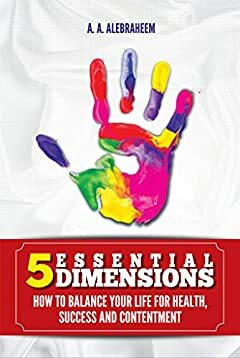 This refreshing, motivating and persuasive book will help you to keep the five dimensions in balance while making decisions for a better life.